An Expression of Interest will be called soon for a new Membership Registrar. As our first ride for the year looks like it is the 40km training weekend at Glengarry. I have seen people ask about memberships etc. 1: you do not have to be a financial member of VERA to compete in any 40km or less training, or social ride. 2: However all non VERA members will be required to pay a "day membership" as well as the entry fee. For those VERA members ready to compete in an 80km and already have a logbook. If your a VERA member, and paid your membership, make sure you have done your logbook returns REQUIRED BY ALL HORSES, NOVICE & QUALIFIED HORSES. If your horse is a qualified horse [YELLOW BOOK] you also have to pay a annual fee prior to competing in anything of 80km plus, or if your horse has a lifetime registration then no other fee required) a sticker inside the book will tell you if it's lifetime registered or just annually registered. 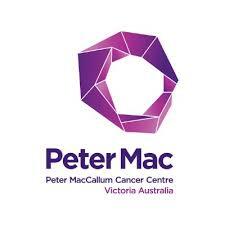 VERA has forwarded a donation to the Peter McCallum Cancer Research Foundation in memory of Sue Cavill and her contribution to Victorian endurance. The SMC would encourage members to show their support also for this very worthy organisation. How does a rider up grade to Endurance/ Open status. 1, The rider must have successfully complete 2 x 40km training rides, then 3 x 80km - 120km, Novice horses and / or riders cannot compete in any ride longer than 120km. 3. Even if you complete your qualifying rides, don’t be fooled to think you can now ride at any speed in your next ride, because in theory you are still a NOVICE rider. The responsibility for the upgrading is up to the rider not the committee.